The Place We Call Home: The College of Saint Rose’s Win-Win Partnership With the City of Albany – Information and thought leadership on this dynamic market! By Dennis McDonald, Vice President for Student Affairs, The College of Saint Rose. Bio below. 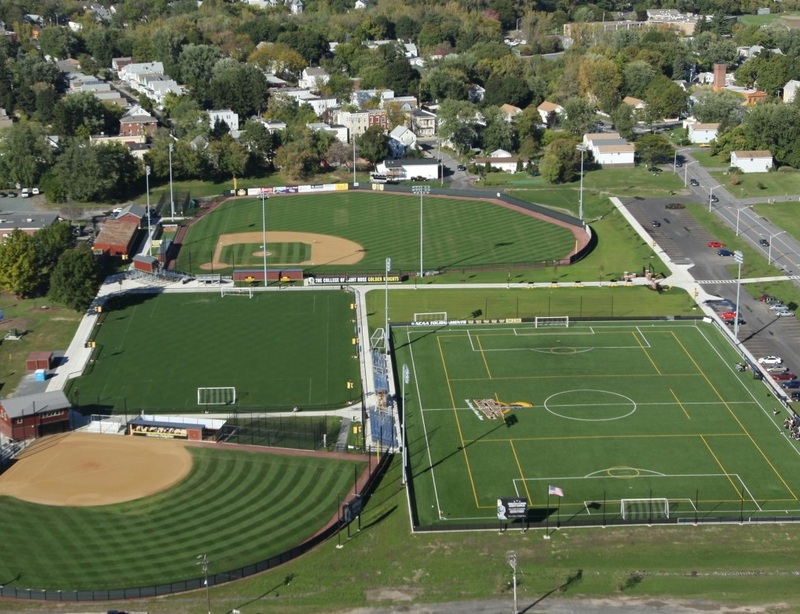 The College of Saint Rose was eager to find new property to build athletic fields on. Located in the heart of Albany, New York, the College didn’t have its own land for fields. And with no place to call home, our sports teams struggled to find fields that were both available and rentable. It was not uncommon to reserve a field across town only to get bumped the day of a game. And then one day, a baseball alumnus mentioned that local, city-owned little league fields had been sitting empty for 5 years—a surprise to many of us. So the president of the College reached out to the mayor of the City of Albany to see if a partnership could be arranged. This was in 2009. The City was interested in discussing a partnership, and the College went on to offer to pay for the construction of the fields, asking that they be available for the school’s use and the community’s use. And that’s exactly what happened. The College entered into a 30-year lease agreement for the 14.7-acre site, and then developed the site. The project cost $4.7M—about $1M of it coming from a major donor, and the rest funded through a fundraising campaign. That price tag is not insignificant, of course, but would have been so much higher without the College–City partnership. During the academic year—from mid-August through May—the College controls the fields. In June, July, and the beginning of August, the City controls the fields. The College also built a community building for activities like local meetings—the neighborhood association, gatherings of nonprofit organizations, etc.—as well as afterschool programs for youth of the neighborhood. This is a fairly inner-city neighborhood, and it lacked community space, so the College was eager to respond to the neighborhood’s needs. The College was also awarded a city grant to provide programming, including educational and athletic activities, tutoring, arts and crafts projects, watching movies, and other things that are fun in nature. This also created opportunities for our students to participate in co-curricular activities; for example, our student athletes act as tutors to help neighborhood students with their homework. All in all, I consider this project to represent the perfect partnership. It’s a win-win for both parties—and for the community as a whole—and by joining together the project not only happened, but happened quickly. Given the financial situation that so many schools are in now, it is also key to note that partnering offered cost savings. Finally, our town–gown relationship has never been stronger. And to think that all the College had to do to find this partnership was look in our own backyard! It was intensive. On the College’s side, the arrangement had to go through our board of trustees for approval, which meant everyone had to understand what we were agreeing to and what the City was agreeing to. For the City, the arrangement had to go through the Corporation Counsel (legal). Additionally, the City had to go through a separate process working with New York State’s Office of Parks and Recreation to get permission for the project, as the site is parkland. Beyond all of that, we engaged in the whole process of sitting with the agreement and working through it step by step and making sure everyone was comfortable. Who would be responsible for the upkeep up the fields? When would that upkeep happen? How would the College and City continue working together over the years? So there was a combined working group with City and College representatives. Our VP for Finance and Administration was part of that group, as were our Comptroller and our Director of Athletics and Recreation. The City sent the Director of Parks and Recreation to be a part of the working group, alongside the Director of the Corporation Counsel. The group developed the agreement, tried to anticipate issues that might result, and asked for attorneys to review it before sending it to the Albany County Legislature for passage. In short, a very complex process. But so very worth it. Since the project opened, there has been a representative from our campus and a representative from the City who have met on a regular basis to discuss any issues that are happening; this meeting will occur throughout the lease period. We also developed a shared calendar. This way the City can see what’s happening at the fields at any time and can add events as they come up, ensuring that we avoid double-booking. Finally, there’s a periodic review of the agreement to make sure everyone is satisfied and to address any issues that have come up. To my knowledge there have been no changes that have resulted from the periodic review, but we like it as a way to ensure everyone is refreshed on the agreement and to ensure the town–gown relationship remains strong. The College’s original goal was to have a premier facility—with playing fields all in one location—that would attract college athletes to our campus. What we ended up with really is a beautiful, successful facility and we have lots of sports organizations approach us about using it. So for instance the baseball field has been rented for some regional high school competitions, and the soccer fields are used by a couple of youth soccer leagues—all when we’re not using the fields. So the project has been a benefit not only to the College but other community organizations and schools. Of course, it has certainly been a benefit to us as well—and not just financially. Before we had these fields, our coaches kind of talked their way around facilities on tours with prospective student athletes because they didn’t really have a field to take recruits to. We led a nomadic existence, which was hard on everyone. Now, we can take recruits to a place and say, “This is where you’ll play. This is the place we call home.” The results have been positive for us. Our coaches find it easier to close a deal in terms of recruitment; they say this facility has made a big difference. It’s also been a relief not being dependent on other people for practice and play space. Before having the fields, we often got bumped. That was difficult for us, and difficult for our opponents, too—whom we then had to call the day before a game or even the day of to communicate a new address. Knowing we could be bumped meant we always needed a second game plan in our back pocket. It takes a lot of energy to keep that up. Now, we no longer worry about being bumped and needing to find an alternative site at the last minute. The most important thing is to keep your eyes open for possible partnerships—including ones you might not think of initially, and certainly including ones in your own backyard. A partnership can be really beneficial to both sides. So in this situation, our field space, recruiting, and financial needs were met; and from the City’s end, they affordably reclaimed a park that allowed them to provide programming for the youth of the neighborhood. It’s a real win-win situation. Another hugely important thing: relationship-building. To make our partnership successful, we worked hard to develop strong working relationships with the City, and that is something you need to do as part of a partnership. The stronger the relationship that exists between the entities, the easier the process. So it’s critical that the school develop strong relationships with the city or the town; you really need to be connected to the leadership, regardless of individuals’ personalities. Be sure to stay in regular contact through meetings and conversations, talk about goals and opportunities as well as concerns, and keep the overall project goals in mind. 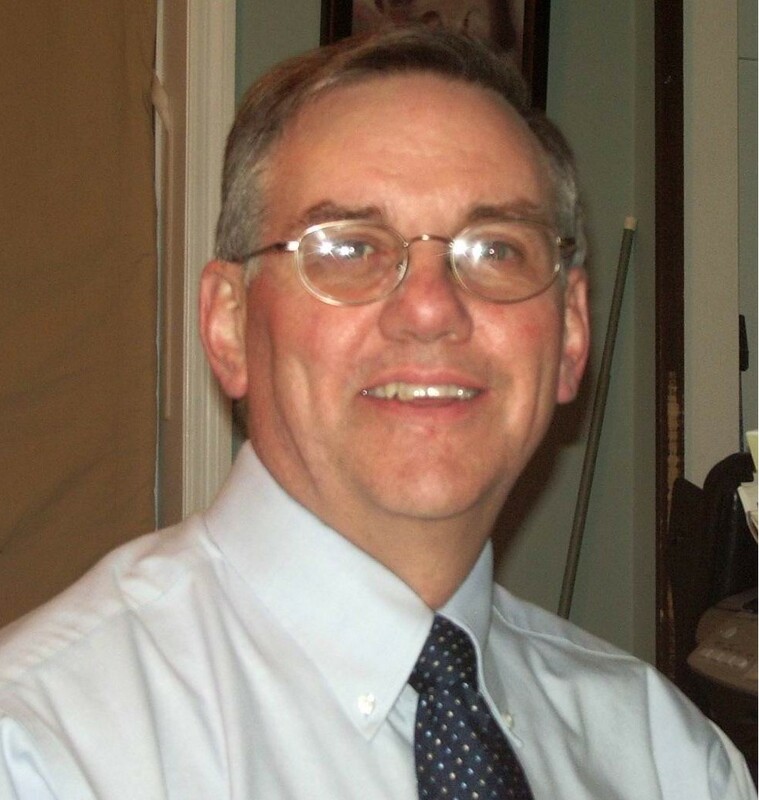 DENNIS MCDONALD has been a member of The College of Saint Rose community for the past 33 years, and currently serves as the Vice President for Student Affairs and Title IX Coordinator. As a graduate of Saint Rose, Dennis has experienced first hand the caring, yet challenging nature of the College. He, like so many others, attempts to live out the spirit, introduced by the Sisters of St. Joseph, that calls for excellence in all we do, care and concern for others, and giving back to the greater community. He has been involved with professional and community service throughout his career. Dennis is a member of ACPA – Student Educators International, and College Student Personnel Association of New York State, and has held leadership positions in both organizations. He has been recognized by both for outstanding service to the profession. He currently serves as a board member with the Juvenile Diabetes Research Foundation, Northeast New York Chapter, and with Equinox, an agency whose mission is to assist those facing mental illness, domestic violence, and addiction.